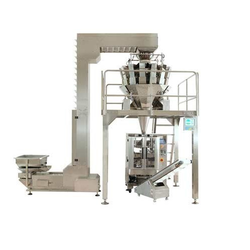 Our range of products include automatic bag feeding packaging machine, filling and weighing machine, multihead weighers and bagging system. 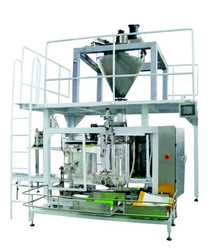 This machine is composed of one CJS25K automatic weighing machine and one automatic packaging machine and is particularly suitable for metering and packaging of granular materials. This packaging machine can realize automatic weighing, automatic bag feeding, hag opening, filing, shifting and output, guiding into automatic bag sewing machine to realize automatic bag sewing and realize unmanned packaging process. This unit adopts touch screen control, and features better man-machine relation, convenient operation, size change and repair as well as safety and reliability. Our company has gained immense accolades in the field of offering Filing and Weighing Machine to the clients. Filing and Weighing Machine is checked thoroughly on well-defined quality parameters so that only high quality gets safely delivered at customers' location. This product is manufactured under the guidance of professionals with superior grade material and sophisticated technology. Offered range is acclaimed for precise design and seamless shine. This product can be customized as per demand of customers. Filing and Weighing Machine offered comes designed and developed using latest technology support and provides for efficient working performance. 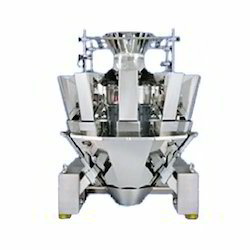 These filling and weighing machines are suitable for use in industry sectors like food, medicine, chemical and other industries. 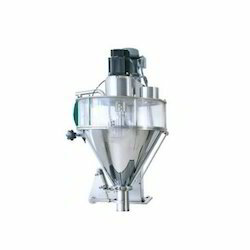 Some of its features include assure of quantitative packaging of powder materials; screw metering based measuring support; all contact parts made of 304 stainless steel for hygienic usage; PLC computer control for accurate working; meets GMP working standards. It is suitable for weighing of gr materials. No products auto pause function can avoid material dropping out during running. Each linear feeder amplitude can be auto/manual adjusted will ensure the products easy flowing with high accuracy. IP65 waterproof and dust-proof design, which is easy t clean and maintain. Metalanguage control panel, Spanish, Korean, German, French and Arabic, etc. High accuracy and high speed models can be selected. We have carved a niche amongst the most trusted name in this business, involved in offering supreme quality range of Bagging System. Our product is extensively used in different industries for bagging equipment and customized packaging. To attain the maximum satisfaction of our clients, we are offering this product in different range and at pocket friendly price.